SlackBuilds are custom written installation scripts used to install non-native applications into your Slackware Linux operating system. The SlackBuild Project is maintained by a small group of dedicated folks. Your assistance with new script submissions is always welcome. For today’s little SlackBuild tutorial, I’m going to use a SlackBuild to install PysolFC, a collection of really cool card games and majong-type games that is maintained by my friend Matthew Fillpot. Matt is one of the lead gurus over at the Linux.com Community site. Stop on over for a visit sometime. 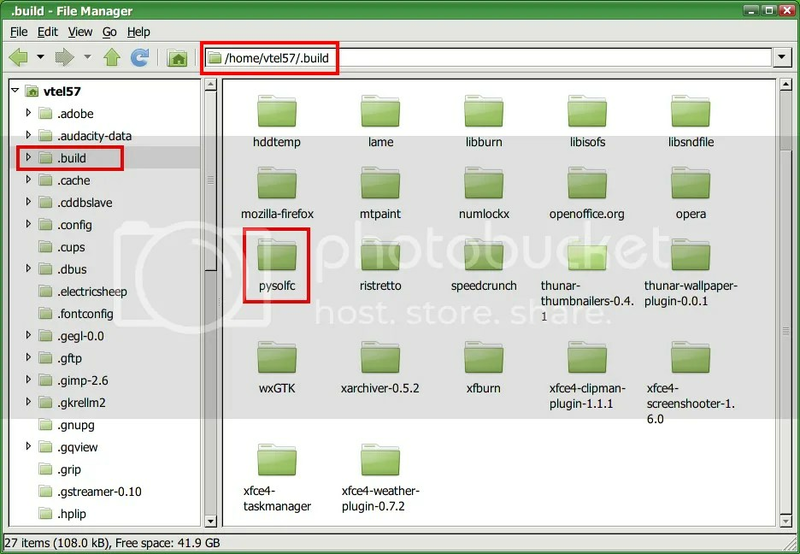 One of the first things I do on any of my Linux installations is to create a hidden directory called .build in my /home directory that I use primarily for manual compiling of applications, or in this case in Slackware, installation of SlackBuild scripts (see Fig 1). OK, let’s get started. The first thing you’ll need to do is navigate to SlackBuilds.org in your favorite browser. In the small search window in the upper right hand corner, type in the application you’re looking for. In this case, that would be PysolFC. 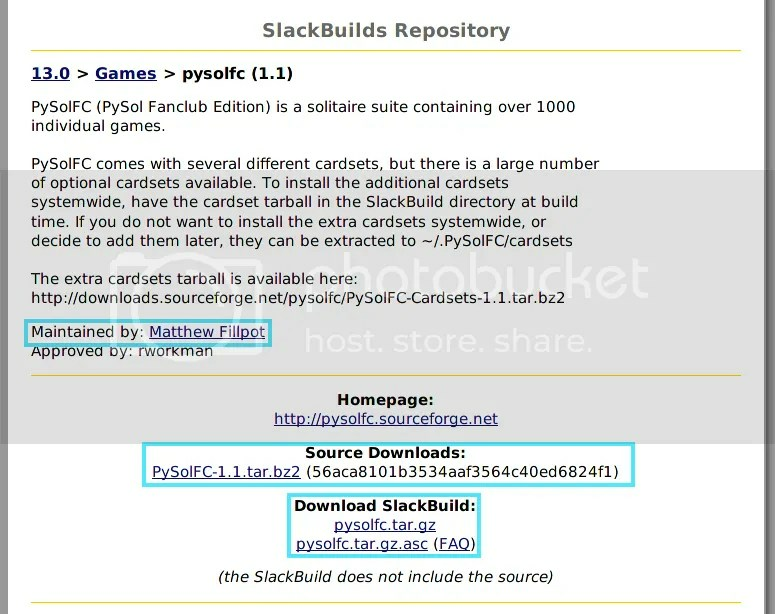 Once the search is completed, you’ll be on the pysolfc SlackBuild page (see Fig 2). Or you can unpack it using your favorite graphical decompression app like Ark or Xarchiver… use whatever you’re comfortable with. You’ll now have an uncompressed directory called “pysolfc”. Move the source directory (PySolFC-1.1.tar.bz2) that you downloaded previously into your newly uncompressed pysolfc directory. That’s right. Just grab and drag that source directory right on into the pysolfc directory (see Fig 3). Voila! That’s it, folks. Easy-peasy. 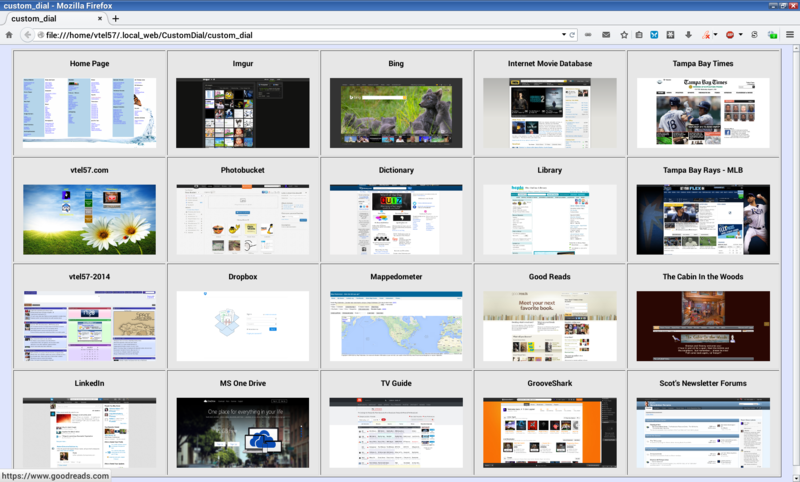 You’ll find an entry for PysolFC in your menu. Click on it and waste a few hours of your life playing some of those funky solitaire card games or that majong stuff.